Rovertune Limited offer specialist Land Rover vehicle Four Wheel Alignment checks and can carry out any rectification required using the digital imaging technology provided by the industry leading Hunter DSP600 system. Why do you need to have your four wheel alignment check at regular intervals, preferably when your vehicle is serviced, or has new tyres fitted? Foremost is the safety aspect as misalignment can affect the handling of your vehicle. The current state of UK roads and also when driving off-road can cause damage to suspension components as many Discovery 3, Discovery 4 and Range Rover Sport owners can testify, so a pre suspension system inspection is part of the full alignment procedure to highlight any worn or damaged parts before they cause a more costly problem. Secondly, many handling problems can be corrected by four wheel alignment and with the geometry realigned to Land Rovers specifications your vehicle handling will return to give that ‘new car feel’. Finally, by preventing premature tyre wear and the cost of early tyre disposal, your vehicle will return improved fuel economy, thereby reducing the overall cost of motoring and carbon emissions, whilst helping to save the environment. We do not think it will be long before motor manufacturers will insist that four wheel alignment will become a mandatory part of their vehicles service requirements. 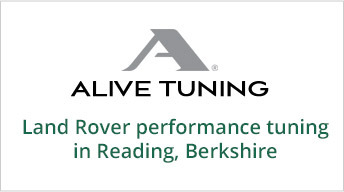 Rovertune Limited using the official Land Rover SDD Diagnostic System can lock your vehicle into ‘geometry mode’ which secures the suspension system in standard ride height so that it cannot move whilst undergoing adjustment. Many tyre fitting companies and garages offering four wheel alignments cannot do this, so achieving the original manufactures settings may be suspect.